Well today was the time many have been waiting for. The day when one could register officially for THE event of the year...Brompton World Championships 2014! I have lots and lots of adventures and events planned already for 2014, however it would be true to say that there is something very special about the BWC. As a spectator the sight of hundreds of Brompton users must be incredible. Even though there are other events staged at the BWC it is the Brompton events that beguile, mystify and entertain. To be a participant - take my word for it - is beyond compare. The events will consist of the Brompton Marathon - which I am really pleased has been brought back. This is a 42km non-competitive event but I am sure many will want to put in a good time. The Brompton Sprint is a fast paced and flat out race against the clock over a 500m course. Both the Marathon and Sprint will take place on Saturday, 26th July 2014. The Sprint...not for the faint of heart!! 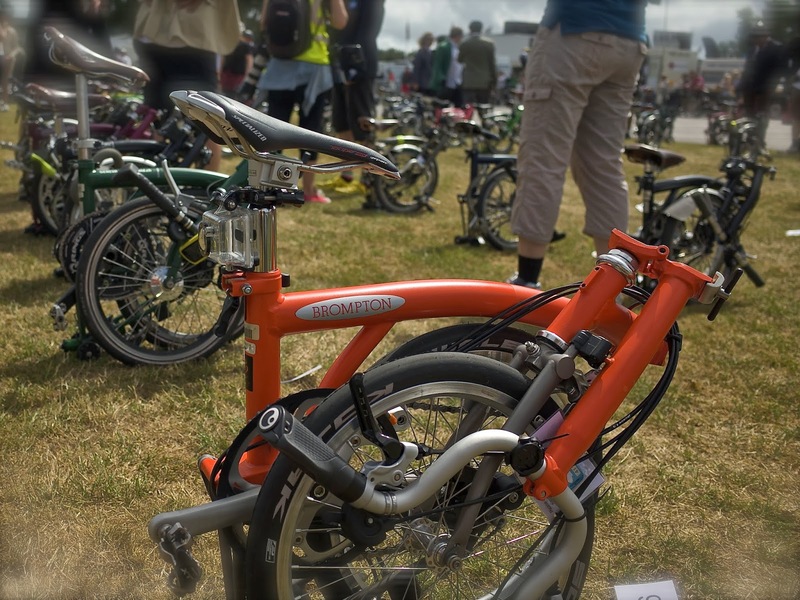 The Brompton World Championships perhaps the Queen of all events will consist of four laps (9.6 miles) of the famous Goodwood Circuit where up to 800 Bromptonians will participate. I will be entering the Treble and therefore participating in all three events. I enjoyed last years BWC immensely and I have little doubts about this year being better! Brompton the company really do know how to put on an event and this is all top drawer stuff. Of course this does now mean that I am in official training! As yet I do not know what that will fully consist of but at least saying it gets me in the mindset. What I really want to do is get a much better time at the BWC than I did last year. I have posted a link to my blog post for last years Brompton World Championships of those who might not have read it. It will give you a good overview of what it was like...for me at least. Will we soon have news of the intentions of the "other OBs"? (MrsOB, MsOB1 & MsOB2). Surely your OOB isn't going to languish at home while you're out on the TiOB?